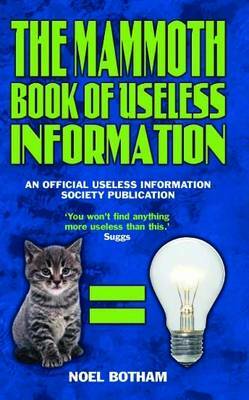 The Useless Information Society was formed by some of Britain's best-loved journalists, writers and entertainers, including Keith Waterhouse, Richard Littlejohn, Suggs, Noel Botham, Ken Stott and Brian Hitchen. They meet regualrly to swap nuggets of trivia. This is the eighth collection of their absorbing, hilarious and wholly useless facts. An absolutely enormous collection, lose yourself in hundreds of pages of endlessly diverting facts that will keep you amused for hours.